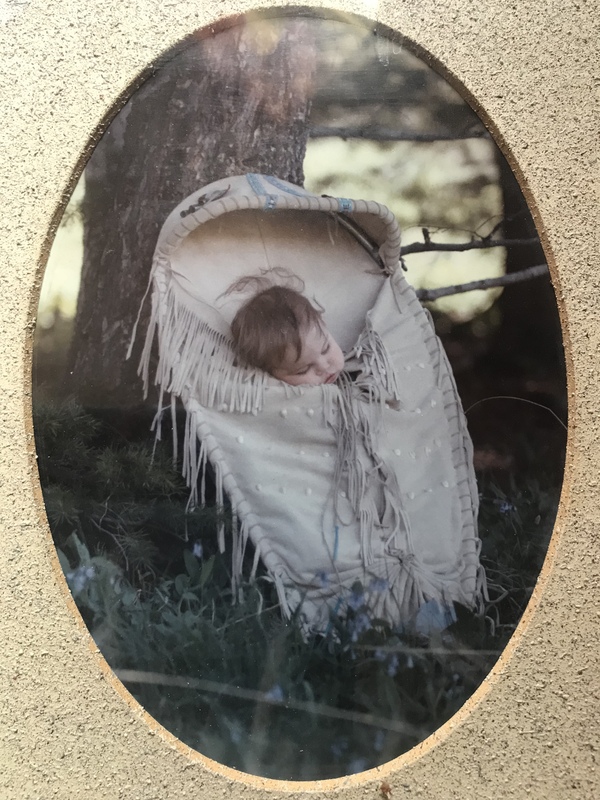 A Throwback Thursday of my daughter, Victoria, asleep in the cradleboard I made for her. I still have it, of course, I used it for the boys as well. I really didn’t know what I was doing when I made this… but it served us well for many years! Very impressive and looks like a perfect place to keep the little one while she naps peacefully outdoors! What an absolutely adorable picture!! Everything about it is just beautiful!